I’m a foodie, and anyone who knows me well can attest to this as a fact. Not only do I love the taste of food, the texture, and the smell, but I also love a well presented dish. If a food looks aesthetically pleasing to the eye, it stands to reason that it’s going to taste good too! Which brings me to my topic….Chavah’s Garden. If you’re a foodie too, and love the bright and earthy colors of veggies, then you’ll want to check out the products this talented artist offers. 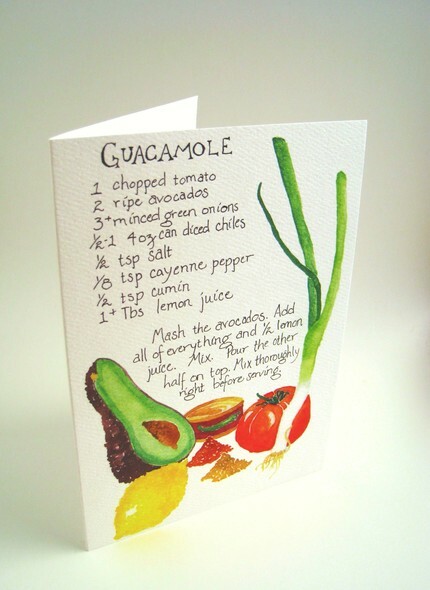 In her Etsy shop, you’ll find greeting size cards, 8 1/2inx11in portrait size prints, as well as ACEO playing card size original paintings that are signed and dated, all of vegetables! Now before you turn your nose up to vegetables like you did when you were a child, just wait, take a step back and realize how much you actually do appreciate the bright, cheerful and unique colors that only God himself could come up with, vegetables included. I was asked to check out some of Chavah’s Garden’s products and give an honest review of them, so here it is. I received a variety of seven 4x6 cards in the mail, super fast and they arrived in great condition. The cards themselves were packaged in a secure thick cellophane protective bag, which was then shipped in a manila envelope. All the cards were in perfect condition, no bends, creases or scratching from shipping at all. Each card includes an envelope for mailing if you so choose to do so. If you go to the Chavah’s Garden Etsy store, you can see each card that I received. The Mushroom, the Guacamole Recipe, the Cucumber, the Lettuce Portrait, the Green Onion Couple, the Green Onion Herd, and the Everything About Ginger card. 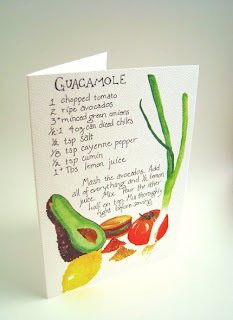 If I had to choose one favorite, I think it just might be the Guacamole recipe card, with the lettuce or cucumber a close second, although I love them all! It is truly amazing to me how anyone can paint in such fine details, such as the ribs in a mushroom, so beautifully. The color combinations she uses to bring them to life are amazing! I really am quite impressed with these, and will be framing them to put in my kitchen. Seriously, what a perfect place for these! As soon as I do I’ll take a photo for you all to see how great these look in there. You’ll find that you can purchase a pack of cards 5 cards for only $10….$2 per card is a very reasonable price for specialty cards on high quality card stock, printed in the glorious old fashioned but beautiful 4 color process. What a great gift idea for someone who loves to garden! All in all, I am very thrilled with these cards, and I would very much recommend Chavah’s Garden to anyone who wants to jazz up their kitchen, send out interesting and beautiful cards, and of course art collectors. I love my cards and they are truly so beautiful in person, and I can’t wait to get these up on my kitchen wall. Please be sure to visit Chavah’s Garden on Etsy, where you’ll also find interesting facts, and well written entertaining descriptions of each item from Sydney Palmer. She also writes, paints, and does theology in Seattle Washington. Also, stay up to date with her latest and greatest by “liking” Chavah’s Garden on Facebook. Thank you all so much for helping me to reach my goal of 1000 Facebook fans!! I'm so excited, you have no idea!! And due to the fact that so many of my Etsy friends have become fans, I'm going to pick one of you to feature for my giveaway. So are you ready?? Are you, are you? Well ok then, here we go! Congratulations Dana for being the winner!! Congratulations Monika Design!! 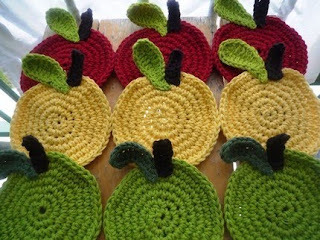 I absolutely love these crochet apple coasters! Be sure to check out her Etsy page to see all the other amazing and beautiful coasters she offers, and if you love her items as much as I do, be sure to "like" her on Facebook too! Ok, so how do you win these?? I'm making it super simple today. Go to my Facebook page and post a comment. The comment should be your own post, not a comment on something already on the page. Then tell all your friends to go to the page and like your comment. The person with the most "likes" to their comment will win!! The contest will end at 10am tomorrow morning! How's that for quick and simple?? The race is on! Go post and get your friends on over to like it! 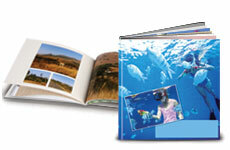 Vistaprint 12x12 Personalized Photobook with free 14 day shipping Giveaway!! Ok, here it is! Eeeeekkk! I'm so excited to offer you guys this! I think this is an incredibly fantastic first giveaway. I absolutely love photo books! Not only do I love them for myself, but I love to give them as gifts. I don't know of any Granparents/Aunts/Uncles, etc., that will ever get tired of photo books for gifts. You always have new pictures that they need to see. The computer is great, but nothing beats a tangible book to hold and look through. Plus, in photo books you can name names, tell stories, etc. That way generations down the road will know exactly who's in the pictures and what was happening in your daily lives. You don't really have that when the pictures are just sitting on a disk or computer. So how would you guys like to win a free Vistaprint 12x12 photobook with free 14 day shipping? If you are selected as the winner, you'll be able to choose from a hard cover, leather cover or linen cover. It includes 26 pages and a variety of layout and design options and free 14-day shipping. The value of the giveaway is over $50. Head on over to Vistaprint to check out the 12x12 books (which by the way, are on sale if you don't want to wait), and don't forget that Vistaprint also offers such great products as Birthday Invitations, Custom T-shirts, and Personalized Mugs. These are all perfect Father's Day gift ideas! This giveaway will last from now until Friday May 28th. Why May 28th?? Simply because that's my birthday, and I'd love to give away this "gift" on my birthday! Each time you have an entry, I enter your name in my Excel spread sheet. It will be numbered 1 to whatever the last entry number is. On May 28th at 10:00am, I will pick a random number via Random.org, and whomever's name corresponds to that number on my Excel spreadsheet will be the winner. I will notify the winner within 24 hours via email or Facebook email, or your Twitter account (depending on what info I have from you). If there is no response with 24 hours I will send off one last attempt. If I still don't hear from you within that last 24 hours period (48 hours total), I will offer this to the next randomly generated winner. 2) Post about my blog to an open forum somewhere, or make a post on your blog about my blog (I have to be able to view it without logging in). When you do this, send me an email to info@familyboundmom.com. You can do this once a day for an additional entry every day! 3) Tweet this "Win a 12x12 Photobook via FamilyBoundMom http://familyboundmom.blogspot.com/2010/05/free-12x12-vista-print-custom-photo.html Pls RT" on Twitter. You can do this once a day for an additional entry every day! 5) "LIKE" my Facebook business page. If you are already "liking" my page, post a comment below letting me know you are already a fan and what your name is (or email me) to submit your entry. This will give you one single entry. 6) Follow me on Twitter, and once you do post a comment below that you are now a follower along with your twitter name. PLUS, I'll follow you back! If you already follow me on twitter post a comment below or email me with your twitter name. You get one single entry for this. So there you have it! This is my first giveaway, and I may forget something, so if you have any questions please let me know. HAVE FUN! P.S. This giveaway is on behalf of Team Mom and Vistaprint. I did not receive any compensation to host this giveaway. Did you order this or something else posted on the blog? Wanna do a review?